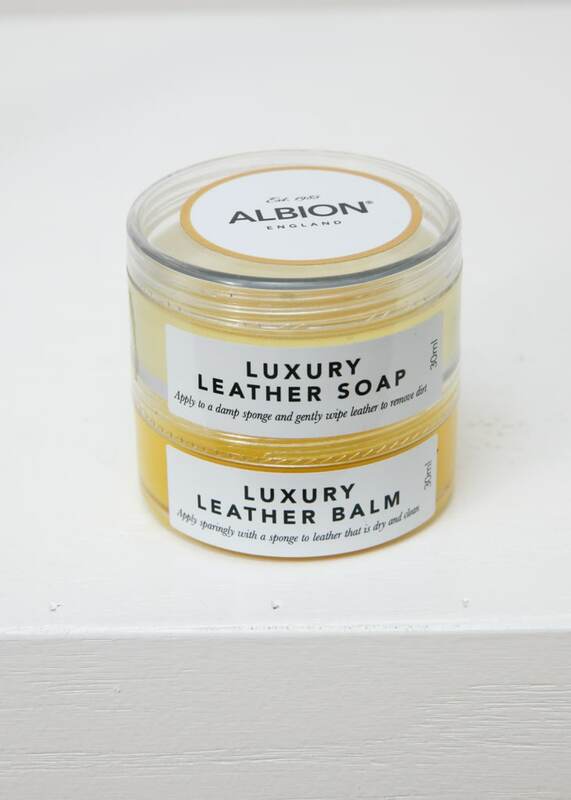 Albion Luxury Leather Soap is a mild vegetable-based soap enriched with glycerine. It is virtually pH neutral and free from damaging detergents and chemicals. 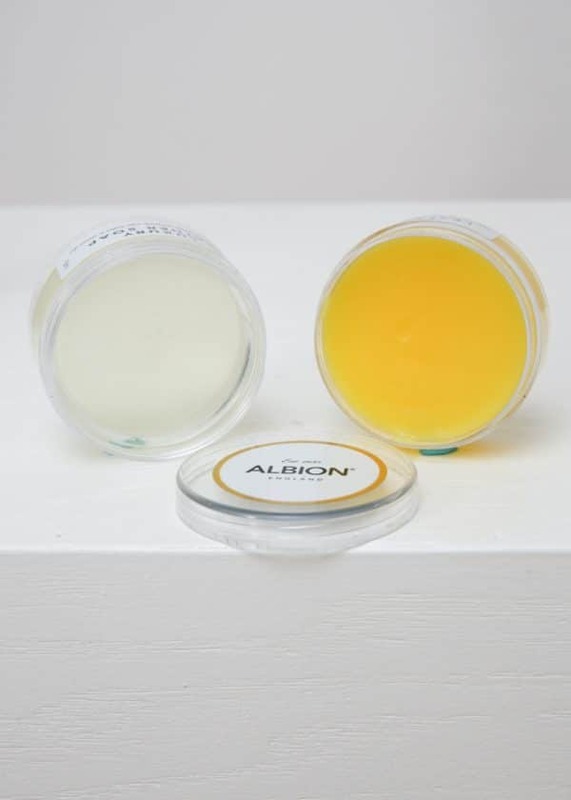 It provides superior cleaning, leaves leather supple and protected, and will not strip the color from your Albion leather products. 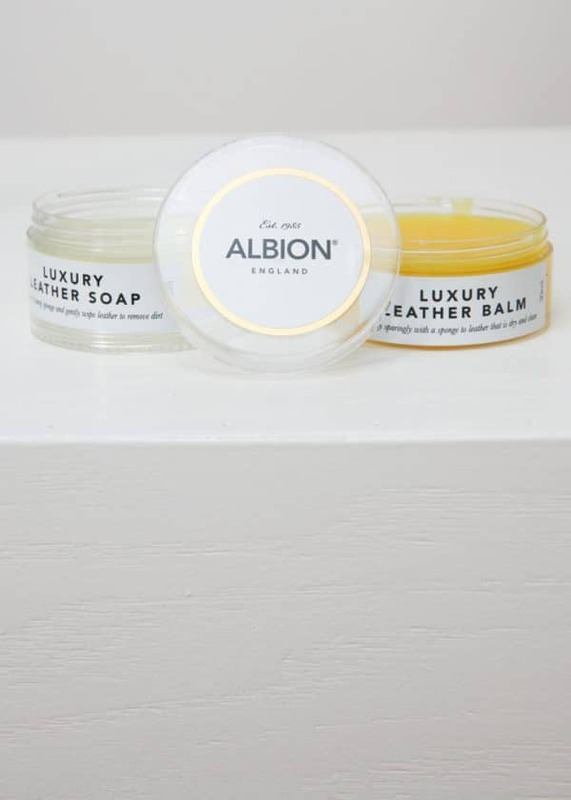 Albion Luxury Leather Balm is a luxuriously rich conditioner that nourishes and protects leather. 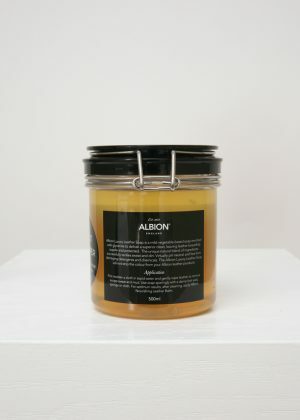 It is made from an authentic 200-year old Swiss formula that was originally developed to care for leather exposed to extreme conditions in Switzerland’s challenging mountainous regions. Sweat, excessive heat, sun damage, damp conditions and lack of maintenance are the most common causes of leather becoming dry, discolored, brittle or cracked. 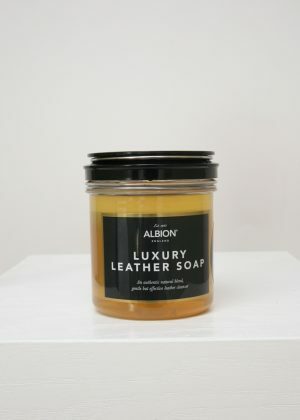 This greatly reduces the life of any leather product. Carefully maintained leather will feel soft and supple for years to come.